Brewer: Mill Street Brewery, Toronto. I’ve been sitting on this one for a while, but since it just took a gold medal in at the Canadian Brewing Awards in Montreal, figured its time. 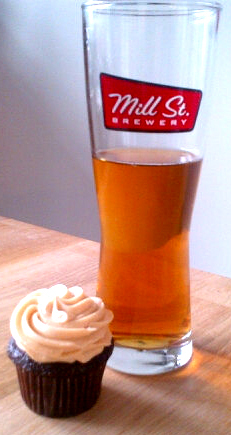 For those who don’t know, here’s the back story on the Honey Stinger: Its brewed using honey from the bees that live on the roof of the Royal York Hotel…obviously. Yep, bees live on the roof of Toronto’s most iconic hotels, and one of Toronto’s newly iconic breweries makes them a fairly exclusive beer with the honey. Another important point is that the Honey Stinger is only available two places: On tap at the Royal York or for purchase in growlers from the Mill Street Brew Pub in the distillery district. Its not even on tap at the brew pub. The beer itself is a very nice golden ale and (I mean this in a nice way), n0t unexpected in flavour – Its sweet with the smoothness that is characteristic of Mill Street’s brews. I would suggest it is a slightly modified version of the Stock Ale in this respect, which itself is a very smooth and refreshing beer. Indeed, the taste makes it very easy convince yourself that the back story makes it better…does that make sense? I suspect the honey making capacity of the Royal York’s bees have their limits, but I wonder if this gold medal will be the impetus for a larger scale honey beer. While I’d like to see better availability, I must admit, being a certified yuppy, that I enjoy the limited nature and interesting story behind this one too much to want it to change. 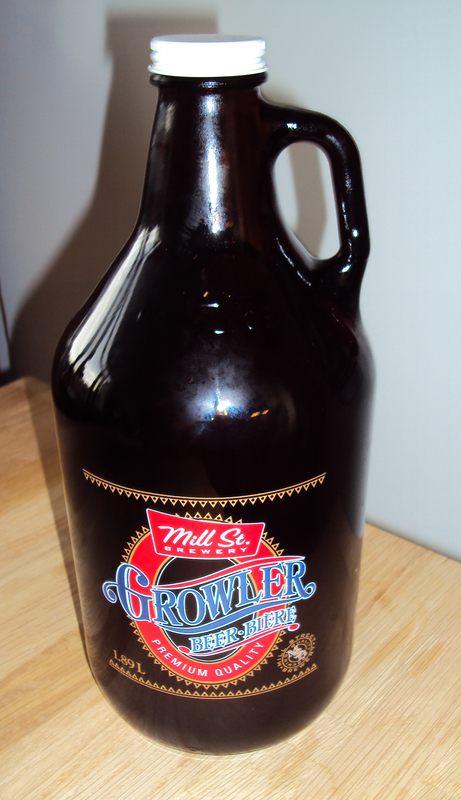 The growlers are fun, but I’d recommend heading to the Royal York to enjoy this one in the atmosphere it was made for.